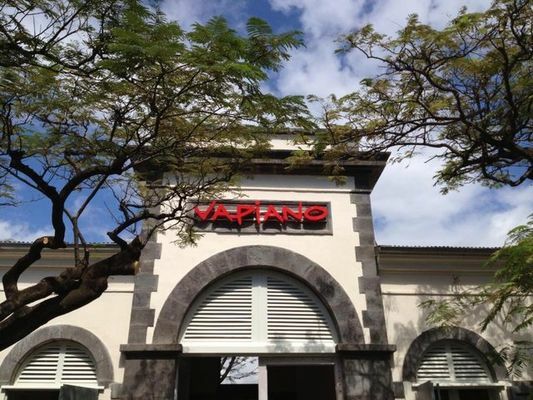 Vapiano restaurant, in Saint-Denis serves Italian cuisine. The restaurant has a number of dining rooms and an internal courtyard with terrace. On the menu ... pasta, pizzas and salad. Dishes are prepared in front of customers. Restaurant open 7 days/week from 11am to 11pm and until midnight at weekends (Friday and Saturday). Environment / Access : From Roland Garros airport, head towards Saint-Denis, continue down boulevard Lancastel and then boulevard Gabriel Macé. Turn right onto Avenue de la Victoire, then immediately turn into the square, pass the statue of Roland Garros and the casino; you'll see the restaurant on the right.